It's the end of the year, and that means for one brief, shining moment, one Google Play gaming category will make perfect sense. 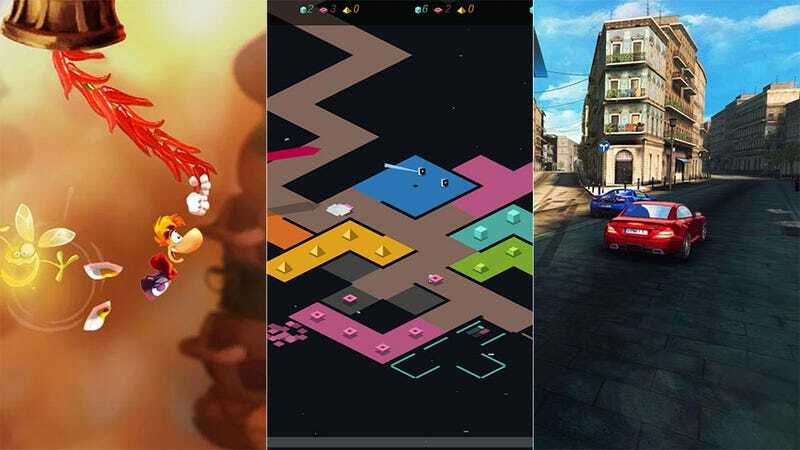 These are Google Play's editor's picks for the top Android games of 2013. This marvelous, minimalistic real-time strategy game was one of Stephen Totilo's favorite games this year. Another practically perfect platformer for Rayman about covers it. A fantastic puzzle RPG that I could not put down when it hit the iPhone last year. The sequel to 11 bit studios' smash-hit reverse tower defense game did well on mobile this year. A collectible card-type game with animated battles, this only came out a few weeks ago, and I wasn't too fond of it. Avoid this game if you ever want to spend a single waking moment not thinking about dragon breeding again. One of the best racing games on any platform in 2013, at least by my accounting. The zombie apocalypse has never been so orderly and logical. This is an amazingly well-presented game. One of the most addictive mobile games of the year, this one got tons of mainstream attention. More dots. You aren't supposed to endlessly run into the misty, zombie-filled forest, yet here we are. Massively multiplayer online strategy games came into their own this year, and Clash of Clans is living, profitable proof. Never heard of this one. Must be new. It pays to be an unofficial 2D version of Minecraft. Soccer is really popular, it seems. Did they miss any? Was your favorite Android title robbed? Sound off in the comments!